There’s hot yoga, laughter yoga and even yoga done on top of stand-up paddleboards. 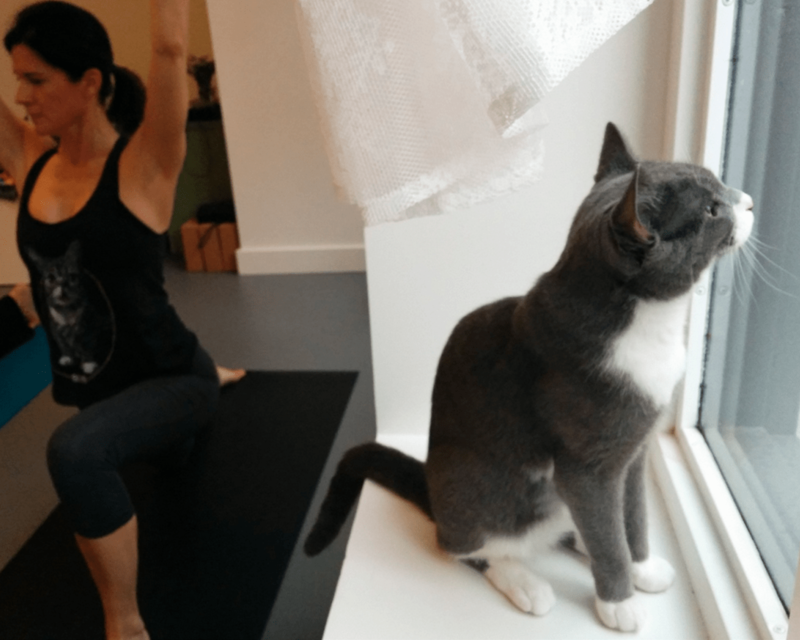 But yoga with cats may just be the most fun, and the most distracting for feline-loving yogis. 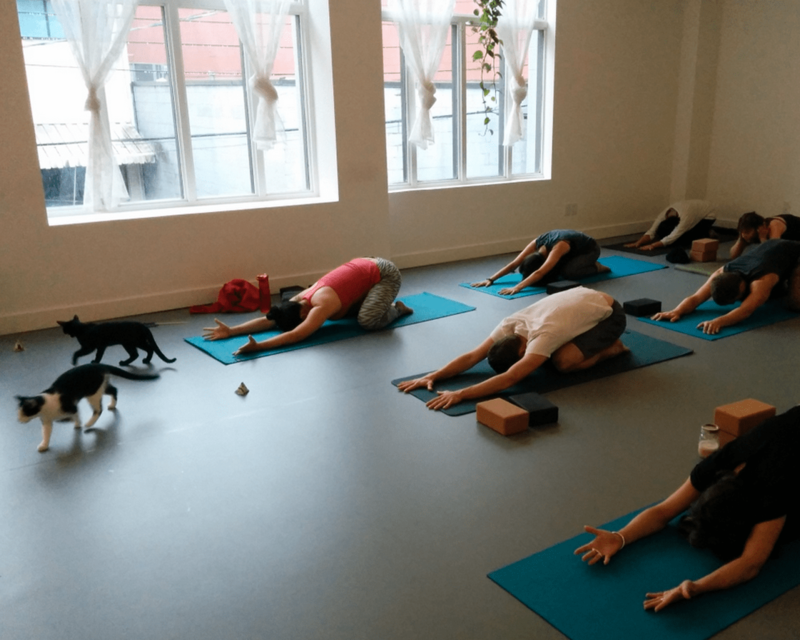 Yogis gathered at the Stretch Vancouver studios for Cats on your Mats, a yoga class where eight kitties pawed and purred their way around the studio while participants did their stretches. “This is the most distracting class I’ve ever taught!” laughed instructor Julia McCabe, who got her class to chant “meow” instead of the traditional “om”. 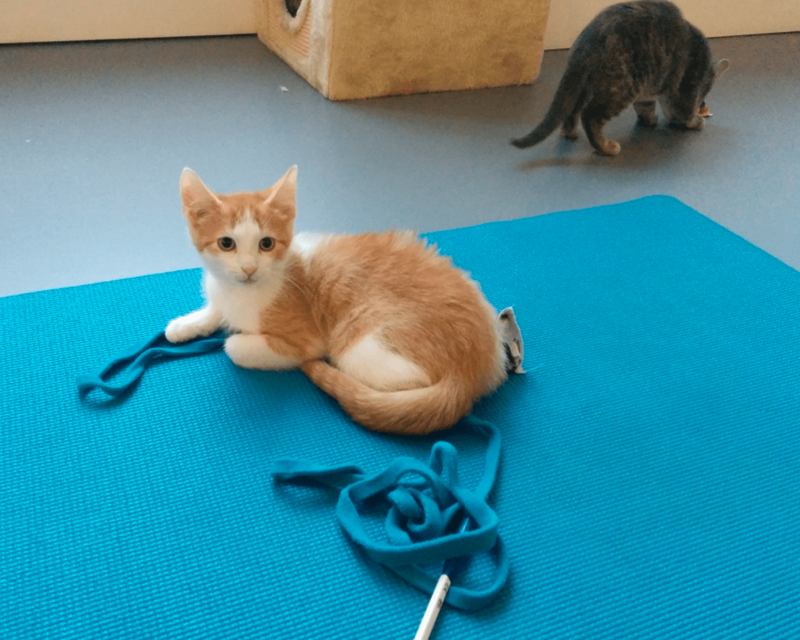 The event was to raise funds for the Vancouver Orphan Kitten Rescue Association (VOKRA), and was jointly organized by Catfé — which plans to open a cat cafe in Vancouver by the end of the year. “It’s just a great way to bring cat lovers together in a unique way. People love cats and spending time with cats,” said Catfé founder Michelle Furbacher. Previous postIs Masturbation Good For You?